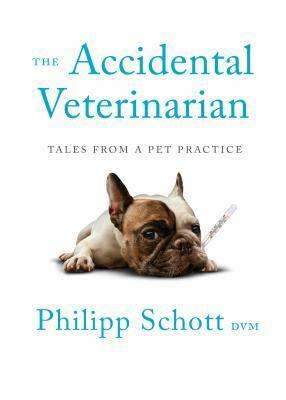 From Goodreads ~ With insight and humor, Dr. Philipp Schott shares tales from the unlikely path he took into his career of veterinary science and anecdotes from his successful small-animal clinic. Dr. Schott brings to his writing the benefit of many years of expertise. Wisdom he imparts on readers includes the best way to give your cat a pill, how to prevent your very handy dog from opening a fridge, and how to handle your fish when it has half-swallowed another. Through these and other experiences, Dr. Schott also learned that veterinary medicine is as much, if not more, about the people as it is the animals. And he will have you laughing and crying as you embark on this journey of discovery with him. I like reading books about animals and that's why this one caught my eye. Dr. Schott is a veterinarian in Winnipeg, MB. He has advanced training in diagnostic ultrasound and for the last fifteen years has had the largest ultrasound referral practice in Manitoba. His other special interests in practice are cardiology, oncology and internal medicine. He has also been the chair of the provincial Peer Review Committee (professional discipline) for a number of years. Dr. Schott was named Manitoba Veterinarian of the Year in 2009 and was presented the Award of Merit by the Manitoba Veterinary Medical Association in 2015. After reading all his qualifications, you would think that the writing in this book would be stilted and super professional. Actually it was quite the opposite ... I enjoyed his writing style as it was amusing and casual. As a head's up, there are a couple swear words (rhymes with "it"). When he did get technical (like discussing urine or diarrhea, for example), he gave a head's up and tried to make it as interesting and fun as possible. The book tells of his family moving to Canada from Germany when he was quite young. He didn't really have pets growing up but that didn't stop his interest in them. The book is full of stories of his experiences, some sad, most funny, of being a vet and treating cats and dogs and even a duck and a hare. He also describes the serious side of being a vet .... why people think vet bills are too high, the high rate of suicides among vets, euthanasia of pets, why vets don't call you back right away, etc. It was entertaining to read the stories about the animals he's helped but it was also interesting to get the scoop on what it's like to be a vet. Dr. Schott lists one of his interests as brewing beer ... I think he would be a fun guy to sit and have a few beer with.